Over the years, Mitsubishi has created several legendary vehicles, and the Mitsubishi Eclipse Cross is the latest member on this wall of fame! Just added to the Mitsubishi lineup last year, this crossover SUV is already widely known for its good looks, powerful performance, and comfortable interior. The 2018 and the 2019 models are quite similar, however, there are slight differences, such as the price, trim levels and technology. Follow us at West Side Mitsubishi, as we go through the differences between the 2018 and 2019 Mitsubishi Eclipse Cross. 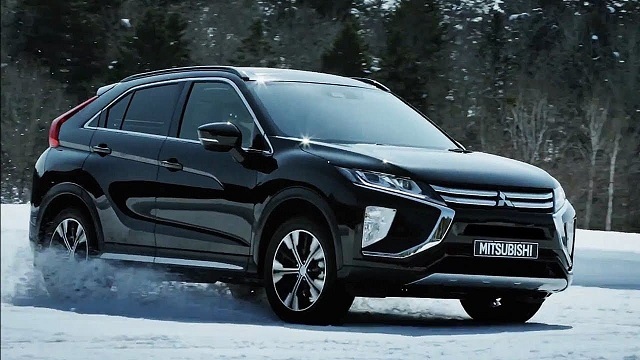 The Mitsubishi Eclipse Cross is an SUV with a bold style and advanced technology that leave a strong impression on anyone who lays their eyes on it. Under the hood, the 1.5L I-4 DOHC engine produces a horsepower of 152 and 184 of torque. And with this great performance also comes an admirable fuel efficiency of 9.6 L/100 km in the city and 8.9 L/100 km on the highway. The Eclipse Cross has the perfect combination of power and efficiency with the Continuously Variable Transmission (CVT), which gives you more confidence on the road. Inside the cabin, you’ll be invited by the high-quality materials, luxurious features, a heated steering wheel and heated rear seats. This is just a brief overview of what makes the Mitsubishi Cross so special! The 2018 and the 2019 Eclipse Cross are very similar in styling, however, there are a few differences when it comes to trim levels and features. The 2018 Eclipse Cross has 4 trim levels, while the 2019 is made up of 5 different trim levels. The GT S-AWC Diamond Edition from 2018 was replaced with the SE Black Edition S-AWC and a new trim level, the SE S-AWC Tech model, was added to the lineup. Some of the new features added to the 2019 model include premium fabric‑appointed seats, fast‑key keyless entry, push button start, Forward Collision Mitigation (FCM), Lane Departure Warning (LDW) and Auto High Beams (AHB). These upgrades explain the slight difference in price, the 2018 Eclipse Cross has a starting MSRP of $27,798 while the 2019 model is offered at $27,998. Contact us at West Side Mitsubishi if you have more questions about the Mitsubishi Eclipse Cross, our staff members are always ready to give you a hand. If you are interested in purchasing an Eclipse Cross, make sure to apply for credit pre-approval and we will make sure to help you find a finance plan that best suits your needs.